Pelican Storm at Cases Plus! 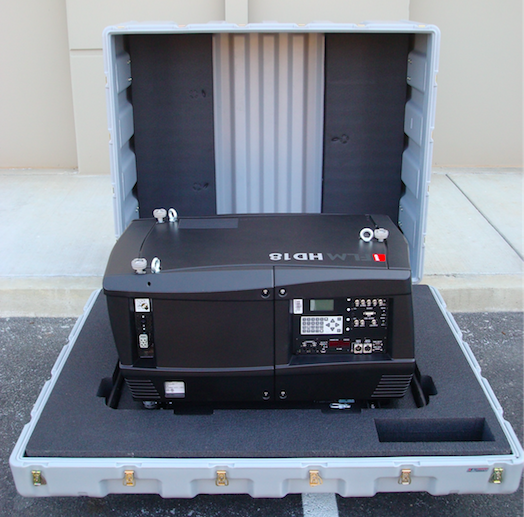 When you’re working in a demanding environment and you have valuable items that need to be kept safe and protected, the Pelican Storm case is exactly what you want. Just think about how often you worry about your work accessories, tools, and other important inventory during transport when they are not adequately protected in a durable case, especially when it’s expensive cargo that’s being transferred. Well, with the Pelican Storm Cases you won’t have the need to worry about the safety and security of your property anymore! Pelican Storm cases are high performance protective cases that are currently depended on in a variety of demanding industries, by professionals in the fields of law enforcement, fire protection services, and even the military. The reason why professionals can count on Pelican Storm cases in extreme conditions is mainly due to the exceptional quality of the materials and design behind Pelican products. But don’t just take our word for it; listed below are just some of the key features that make Pelican Storm cases the ultimate in protective cases for cargo items of all sizes. For a closer look at individual Pelican Storm cases, here are 3 of the more popular models and a few of their characteristics. Made with Pelican’s proprietary lightweight strong HPX resin, this small size, watertight protective case has been proven durable in low-temperature impact tests to keep your most valuable items secure. This easy to open case made with a patented Press and Pull Latch, the Double Layered Soft-grip Handle, and the fact that it meets carry on regulation measurements makes transporting and storing your valuable cargo efficient and hassle free. This large case provides extra protection and security with two Padlockable Hasps, and four Press and Pull Latches, optional foam and utility organizers for smaller instruments, and it can protect your cargo in heats of up to 140°F, making this the ideal case for storing and transporting your valuable electronic equipment, for example. The Pelican Air Case is up to 40 percent lighter than other polymer carrying cases, making this the lightest Protector case available on the market today. Made with Super- light proprietary HPX2 Polymer, this case is tough enough to withstand demanding conditions and light enough to take with you anywhere you go, with ease. The unique feature of the Pelican Air Case that makes it ideal for storing even the most sensitive of items, is the Automatic Purge Valve, which functions to keep water and dust out while balancing air pressure at all times, and in all conditions. Whatever the cargo-carrying needs may be, there is a Pelican Storm case that can fit those needs while keeping your property safe and secure in the most demanding of conditions. Not all of us can remember a time when we had to rely on maps and compasses to guide us and provide us directions when traveling long distances, and we take for granted all that our cell phones and GPS devices do for us. But if you stop and ask yourself, what in the world would I do if I didn’t have the ability to use GPS, you get to appreciate how valuable this technology is in our daily lives. So to help you get the most out of your GPS, we have provided a how to list for taking care of a GPS device, a guide to in proper GPS ownership. Initiate your GPS upon first use: Since your GPS unit was made at a different location than you are now in (in all likelihood), it’s important to initiate the device so it can be located by the satellites. Simply go the settings and search for the “Initialize” function so your GPS device can accurately read your location. Always use latest updates for accuracy: Just like our phones and computers, a GPS device also needs to be updated in accordance with the recommended software updates in order to keep the technology as accurate and efficient as possible. Use proper storage and cases for your GPS: Your GPS device needs constant protection from the weather to keep the components functioning, specifically protection from the humidity. It’s recommended to keep the unit in a sturdy case when not in use, and to also use a carrying case when the GPS is in use. Practice smart battery usage: A few things to keep in mind with batteries and GPS devices-don’t mix old batteries with new ones when replacing them which can mess with the electric current running through the device, don’t mix different types of batteries (i.e., carbon and alkaline), and always take the batteries out when the GPS device is not in use. Remember that your GPS is not waterproof: Despite being covered in a protective rubber casing on the outside, your GPS unit is not waterproof so don’t let it become exposed to any source, including the rain! Close that mini-USB port when not in use: The port on the side of the device where the USB cord plugs in is meant to be closed when not being used, so always make sure that little rubber plug is in place. Finally, don’t rely exclusively on GPS: While most GPS devices are dependable and long-lasting, it’s imperative to not depend exclusively on them when traveling, when camping, or when on vacation. If you happen to be traveling and your GPS device dies or breaks down, you need to have another method of identifying where you are, so always come prepared. Above all, just remember that your GPS device is a piece of technology just like any other device that you invest in, and with that comes the necessary steps in keeping that investment in top shape so that you can depend on it when needed! TransPak, a leading provider of custom crating, packaging, logistics and design services since 1952, is pleased to announce the acquisition of Cases Plus. Adding one of North America’s largest distributors of high-quality carrying and shipping cases enables TransPak to expand its capabilities and provide more efficiency to customers. 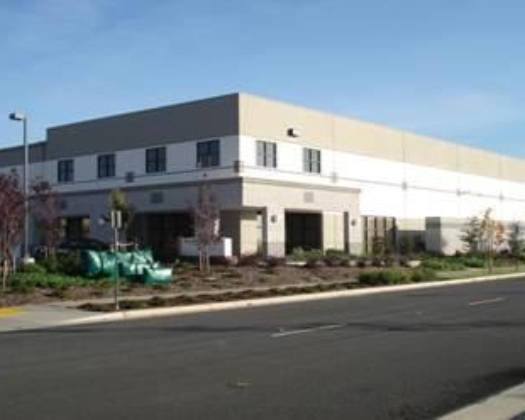 Operations will continue from Cases Plus Lincoln, CA headquarters. Stop by for a visit! At up to 40% lighter than other polymer cases, Pelican Air cases will lighten the loads of the dedicated pros across the world who have set out to change the game. Pelican Air cases are the first in a series of remarkable innovations engineered by Pelican, the pioneers of protective cases. For over 40 years Pelican has designed and crafted the most influential protective cases in the world, and we’re just getting started. With the launch of the PelicanTM Air line of cases, we’re redefining the future of protection with a remarkable union of light and tough. Meet Pelican Air. Up to 40% lighter. Guaranteed for life. The PelicanTM Air case has been designed to cut weight without compromising durability. Our engineers have revolutionized the protector case by reducing structural waste while preserving Pelican’s legendary standards of strength. In development for years, the design team challenged the status quo to “add lightness” in every detail. It wouldn’t be a PelicanTM case if you couldn’t drop it, kick it and run over it – and the PelicanTM Air case is no different. The world is in a hurry and PelicanTM Air cases are setting the pace with two models optimized for travel. We aggregated the airline rules for maximum overhead and check-in dimensions, and perfected two cases for pros on the move. Both cases include a rugged extendable handle that keeps the case clear of your heels when walking, and smooth rolling ball bearing wheels that are nice and quiet. Weighing just 8.69 lbs. with exterior dimensions of 21.96 x 11.97 x 8.98 inches, Model 1535 is optimized for carry-on/overhead bin size. is the maximum airline dimensions for checked baggage without oversize charges. With inventive features that anticipate the needs of pros from every line of work, the new Pelican Air models offer innovation with an equal balance of toughness and lightness. Every pro will discover a more effortless user experience and the perfect model in the Pelican Air line. With the holiday season upon us, you may have put a new laptop or tablet on your “wish list.” Whether your portable electronic device comes wrapped with a holiday ribbon or you purchased it for yourself, these devices have become amazingly lightweight and compact enough to literally take them anywhere you go. One thought to consider when toting your device, is the increased chance of damage due to bumps, dings, and even accidentally dropping it. After all, it would be great if your new laptop or tablet could last for many holiday seasons to come. There are so many choices when it comes to protective laptop and tablet cases, some are simply covers meant more for esthetics and offer little or no protection. While this type of case cover may work for some, you may want to consider a bit more protection especially if you plan to take your device with you whether for work or pleasure. Whatever your situation may be, you may have decided that a case is a good solution to help protect your electronic device from damage. Are you aware that Pelican.com has designed a line of laptop and tablet protective cases? These digital protection cases made with the same toughness found within their shipping cases is available in Pelican’s ProGear Hardback™ Cases. These cases offer many sizes to fit tablets, netbooks, and laptops up to 15”; they are crushproof, watertight, and impact resistant, offering either molded-in or customizable foam inserts for added protection of your device. For ease of carrying your electronic device many cases offer a removable shoulder strap that allows you to just slip it over your shoulder and go. Do you enjoy the slim-line styling found with the iPad® tablets but you are seeking a protective case that offers protection and without the bulk? Then you may want to check out Pelican’s line of cases designed specifically for the Apple iPad Air® and iPad® mini tablets. These protective cases come in two different styles within Pelican ProGear Voyager and Vault Series. Pelican ProGear Voyager Series Cases combine ‘form-fitting’ protection to the body of your device at all times, protecting the back and sides of your tablet against damage while still providing easy access to your devices ‘on/off’ button, volume control, and portholes. While many case covers offer little or no protection for your tablet’s screen, Pelican ProGear Voyager Series Case offers you ‘scratch-resistance’ screen protection. This two-layer protection offer protection for someone who is concern of possible damage but seeks the styling of a slim-line case. However, if you are looking to step-up your case protection a notch, then you may want to consider Pelican ProGear Vault Series Case. This case not only protects the back and sides of your device, while still allowing you to access your controls and buttons, but this ‘folio’ style case with an attached screen protection hardcover offers impact and abrasion protection to your device when it’s not in use. When you need to access your tablet, the dual axis hinged hardcover simply folds over the back creating an easel stand to allow you access to your tablets screen for viewing media or simply typing. The Pelican ProGear Vault Series Case offers protection from dust and even moisture from the rain. This case is great for anyone who needs maximum safeguarding against damage and the environment but appreciates the ease of using your tablet in a supported position whether on a job site or at your office. Whatever case style you seek for protecting your new electronic device, you may want to consider the durable protection found within Pelican ProGear Hardback cases or the Voyager and Vault Series tablet cases. Have you ever dreamed of exploring the Colosseum in Rome, skiing down the slopes of the Swiss Alps or maybe a relaxing riverboat cruise down the Mekong River? These are all great destinations that many of us will only dream about visiting, but for those lucky enough to travel, you quickly learn that the destination is only part of the adventure. Getting to and from is the other part. We have all heard or even experienced first-hand how our luggage runs a hard obstacle course from the time we check-in at the airport until we reclaim it at our destination; slung by time-pressed baggage handlers onto carts and trolleys with some of the hardest hits coming when it slides down the chute into the luggage carousel. So choosing well-made durable luggage, especially if you travel a lot, is important to ensure all your possessions are transported safely, securely and without damage to your contents. Pelican known for designing high quality cases has designed the ProGearTm Elite Luggage. This line of luggage offers durability, mobility and security which are all features you will want to consider when making the decision on your next luggage purchase. How durable should luggage be? Your luggage needs to be able to withstand extreme tossing, fumbling and dropping from even the clumsiest of baggage handlers. While durability is important, you still want a case with stylish design and that is exactly what the ProGear Elite luggage offers you. Made of molded high impact polymer material, these cases are able to withstand extreme weight loads eliminating the issue of your luggage being crushed or damaged during transit. Pelican’s sleek and modern dark charcoal case offers six attractive trim colors allowing you to configure luggage to fit your personal style, while making it easy to recognize at baggage claim. Can your luggage protect its contents from the elements? The ProGear Elite Luggage does an outstanding job of protecting your contents from the outside elements. Fitted with a watertight O-ring seal which blocks moisture from getting in, this luggage is able to resist almost everything; even water when your luggage is left standing on the tarmac in the rain. Is your luggage lightweight and easy to handle? This rugged, yet lightweight luggage offers the most structural integrity and handling without the weight typically associated with hard-side cases. It incorporates a sturdy dual wheel design making maneuvering through airports, train stations, and even the city sidewalks a breeze. Equipped with a comfortable retractable handle that does not take up valuable interior packing space is just one more feature of the ProGear Elite Luggage. With this extra interior space bringing home a souvenir or two from your next trip, just got easier! Is your locking system TSA Approved? The security system for luggage is an important consideration for the protection of your belongings. With the ‘built-in’ TSA approved locking system there is no need to deal with a cut padlock or lost luggage keys ever again. The three-digit combination lock with a TSA bypass key helps keep your items safe, yet still allowing TSA agents to inspect your bag when you’re not around. Claiming your personal contents from the baggage carousel due to a broken zipper or ‘popped’ luggage closures is never going to be an issue with the ‘Press and Pull’ latch design found on the ProGear Elite luggage. These recessed latches are strategy placed on three sides of the case to ensure that your contents remain securely intact even when one latch is accidentally left unhooked. What size luggage best fits your needs? Now that you have selected your destination, it’s time to pick the right luggage pieces to best fit your travel needs. Pelican ProGear Elite Luggage is available in three sizes from the 22” Carry-on, which is a convenient size able to easily be stored in the overhead bin compartment of the airplane. The 27” Weekender and 30” Vacationer offer you manageable luggage for your longer travel plans. Whichever size case you select, you may want to consider how you are going to organize your personal items securely within your luggage. It’s easy with the optional “Enhanced Travel System” designed to fit within the ProGear Elite Luggage. It features a detachable interior lid organizer, a toiletry kit, shoe sack, removable garment bag and a separate laundry bag to ensure that your personal contents are at your fingertips once you have arrived. As you can see, an investment in better quality luggage will not only last longer, but it will remain looking good, protect your contents while enhancing your experience with hassle-free travel for many years to come. You’ve invested a lot of time into researching the equipment that best fits your needs, but have you given any thought to the protection of your valuable equipment? Most damage occurs during routine transportation of your equipment. This damage can be costly when faced with recalibration, repairs or ultimately replacement of damaged equipment. Consider custom, it’s a quick, easy and inexpensive solution! Why Order Custom Cases from Cases Plus? To get started, we’ll ask a few questions about your specific application. For example, size, weight, and how the equipment will be used. Now that you have made the decision for a custom case, the next step is getting started on the design. Provide us with your equipment drawings, the actual equipment or a general layout and our team of engineers will create drawings for your approval. 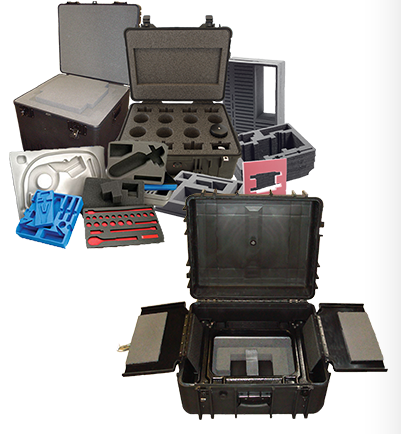 The design process for creating a custom case can range from a simple, single die-cut cavity to multiple cavities with complex elevations and pouches to accommodate your equipment and accessories needs. Once the drawings are approved, your order is scheduled for production. We understand that budgets are always a consideration. That’s why we use the latest technology and equipment to create a case solution with exceptional speed, quality and precision, and without the expensive tooling costs associated with custom cases. Designing a custom case solution to fit your needs can be quick, easy and less expensive than you had imagined! We have come a long way from the days when we still had plain old coolers that we took with us when we on a picnic, or when we visited a beach, or even when we went camping. We have made several steps to improve the experience by ensuring the freshness of the food and drinks that we take. A testament to this is the existence of the Elite Pelican Coolers. Let’s take a look at the unique features that the Elite Pelican Coolers offer, which makes them the perfect modern-day coolers for all your needs. The Elite-line offers up to 10-day ice retention capacity made possible by freezer-grade gasket and thick polyurethane insulation. Imagine going out on a hot summer’s day to the beach; you’d want a refreshing drink. Thanks to the Elite Pelican cooler’s unmatchable ice retention capacity, your beverages are kept ice-cold. Also, when you camp in the wilderness, you won’t even worry about your perishables because they are sure to be kept fresh with your Elite Pelican Cooler. The Interagency Grizzly Bear Committee (IGBC) certifies elite Pelican Coolers Elite-line as bear-resistant. Aside from the fact that using bear-resistant containers would be to your advantage, would it not be nice to know that you are doing your part in protecting the grizzlies from harm that may be caused by eating something they shouldn’t – not to mention that you are also keeping your items, such as food, a little safer than you would by placing them in regular containers? Elite Pelican Coolers have met the bear-resistant design and structural standards, but it is not a guarantee that a grizzly bear cannot gain entry into these products. Yes, wheeled! Some variants of the Elite-line are wheeled, giving you extra convenience. That’s a nifty feature that some coolers just don’t bother to add. We understand how troublesome it is to carry coolers, especially the big ones. When these are full of contents, it can really take some muscle power to take it from one place to another. With the wheeled Elite Pelican Coolers, you don’t need to worry anymore about how much stuff you bring with you. In addition, these wheels are heavy duty and are sure to support the maximum weight capacity of your cooler. The Elite-line is beautiful and it wants to stay that way. That is why it is made of corrosion-resistant stainless steel. We want to assure you that your Elite Pelican Cooler will be with you throughout the years.